At Belmont Park on Saturday, it is the first of two “Super Saturdays” that will be held at Big Sandy. There are five graded stakes scheduled to be run, three of them grade 1 races and two of them are “Win and You’re In” races for the Breeders’ Cup. 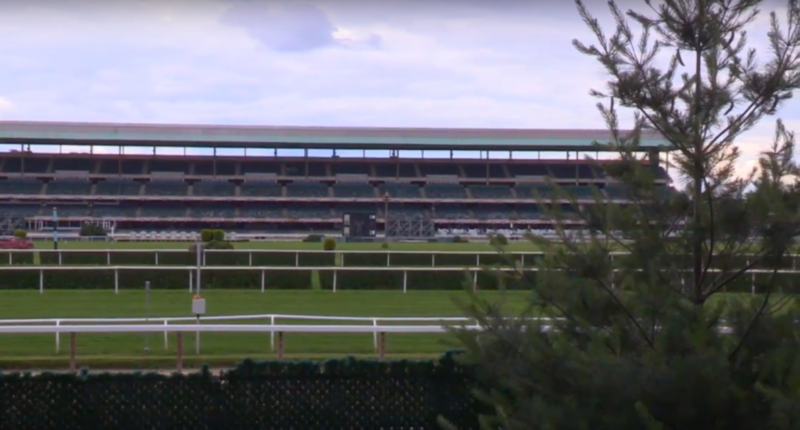 There has been rain in the metropolitan New York area, so the dirt and turf courses will likely be on the damp side. Speed will be a key in all the races at Belmont and, in some of them, there seems to be a lack of quality early speed. Highlighting the day is the Grade I, $500,000 Joe Hirsch Turf Classic at a mile and a half on the Widener turf course. It is the final Win and You’re In race for the BC Longines Turf. The heavy favorite in the race is multiple grade 1 winner Flintshire. Widely regarded as the best male turf runner based in North America right now, Flintshire comes off a controversial victory in the Grade I Longines Sword Dancer, which was a Win and You’re In race for the BC Longines Turf. In that race Flintshire had a “rabbit,” Inordinate, who set the pace and then, while moving over to allow Flintshire to go by on the rail at the top of the stretch, interfered with Roman Approval. Stewards took no action, but trainer Chad Brown and Inordinate’s jockey Aaron Gryder took plenty of criticism for their actions. However, in this writer’s opinion, Gryder did his job very well in the race, which was to set things up for Flintshire to win. With a field of four here, there is no Inordinate to act as a pacesetter. 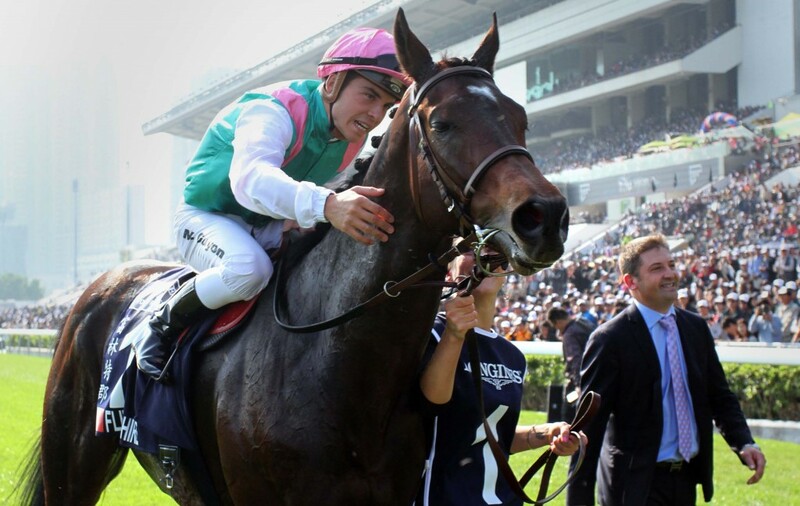 But Flintshire is the class of the race and is simply better than these. The only competition will probably come from his uncoupled stablemate Money Multiplier, who had a troubled trip in the Sword Dancer. Another Win and You’re In Stakes to be run at Belmont is the Grade I, $350,000 Vosburgh Invitational at six furlongs. The morning line favorite in the race is A.P. Indian, who is coming off a victory in the Grade I Forego at Saratoga. That race was also a Win and You’re In affair. A.P. Indian (black cap) forges to the front in the Forego. With the rain falling in the area, there is a good chance the track will be off and trainer Arnaud Delacour will probably scratch A.P. Indian if the track is muddy or sloppy. If A.P. Indian scratches, favoritism will probably revert to X Y Jet. Early in the year, the Jorge Navarro trainee was regarded as the best sprinter in training. After winning the Grade III Gulfstream Park Sprint, he went to Dubai and, after a hard fought stretch duel, finished second by a neck in the Group 1 Golden Shaheen. He came out of the race with a small knee chip that was removed when he returned to the US. This is his first race since then and he seeks to win his sixth consecutive race in North America, all in gate-to-wire fashion. He will be ridden in the Vosburgh by regular jock Emisael Jaramillo. The other grade 1 to be run at Belmont on Saturday is the $400,000 Beldame Invitational at a mile and an eighth on dirt. The morning line favorite is Forever Unbridled. She comes off a third-place finish in the Grade I Personal Ensign Stakes — a race in which she showed improved early speed. Prior to that, Unbridled Forever finished second in the Grade I Ogden Phipps at a mile and a sixteenth (also at Belmont Park). An intriguing prospect here is Going for Broke. The Chad Brown trainee made her stakes debut in the Grade I Alabama and finished second to Songbird. Brown opts to run her here against older stakes horses instead of facing Songbird in the Cotillion at Parx last week. While the other three-year-old fillies in this race are grade 1 winners, Paola Queen and Off the Tracks, Going for Broke could be an interesting horse to bet at a price, with her morning line odds sitting at 6-1. An interesting race to watch is the Grade II, $300,000 Gallant Bloom Handicap. The race made headlines earlier in the week when New York stewards refused the entry of undefeated Lucy N Ethel, who won the Grade II Prioress at Saratoga last out. There has been controversy on who the actual trainer of Lucy N Ethel is — Chloe Bradley, who was listed trainer in the Prioress, or Ramon Preciado, who trained her for her first three starts. Monmouth Park stewards suspended Bradley for 45 days after she tried to enter Lucy N Ethel in a race in August but was forced to scratch because they were trying to determine the actual trainer in control of the horse. After an investigation and hearing in September, they determined that Preciado was still calling the shots. Preciado is presently not allowed to race any horses in New Jersey. As for this race, the field of seven is headed by defending BC Filly and Mare Sprint champion Wavell Avenue. She seeks to regain her form after a dull sixth-place finish in the Grade I Ballerina at Saratoga. She has no early speed, so she will need help with pace pressure up front. She was second in this race last year to La Verdad, who wired the field. Joel Rosario gets back aboard her here. There isn’t much early speed in the race so a horse like Hot City Girl could try to steal it on the front end. The Linda Rice trainee wired the field to win the Union Avenue Stakes for New York-breds at Saratoga. Rice won this race last year with La Verdad. Hot City Girl will be ridden by Jose Ortiz. Juveniles on the turf get their chance in stakes company with the Grade III, $200,000 Pilgrim at a mile and a sixteenth on the inner turf course. Despite being a maiden, the horse to watch here is Oiseau de Guerre, which is “bird of war” in French. The Chad Brown swooped to the lead on the far turn and seemed on his way to an easy victory in his career debut at Saratoga. But he was run down in the stretch by It’s Your Nickel. Now, Javier Castellano replaces Jose Ortiz in the irons. With patient handling, as well as expected improvement off his debut, Oiseau de Guerre could step up and become one of the best juvenile turf runners in the country with a victory here.